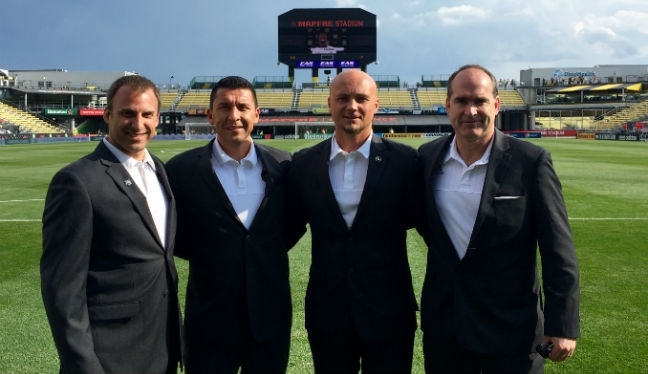 Image (L-R): Brian Dunn, Jorge Gonzalez, Robert Sibiga and Greg Barkey at MAPFRE Stadium. “I believe the game itself went very well. I was surrounded with experienced officials – Jorge Gonzalez, Greg Barkey and Brian Dunn – who guided me along the way.